Several days ago I saw some dumb joke image about going on a ‘raw’ diet, with a picture of a tube of cookie dough. 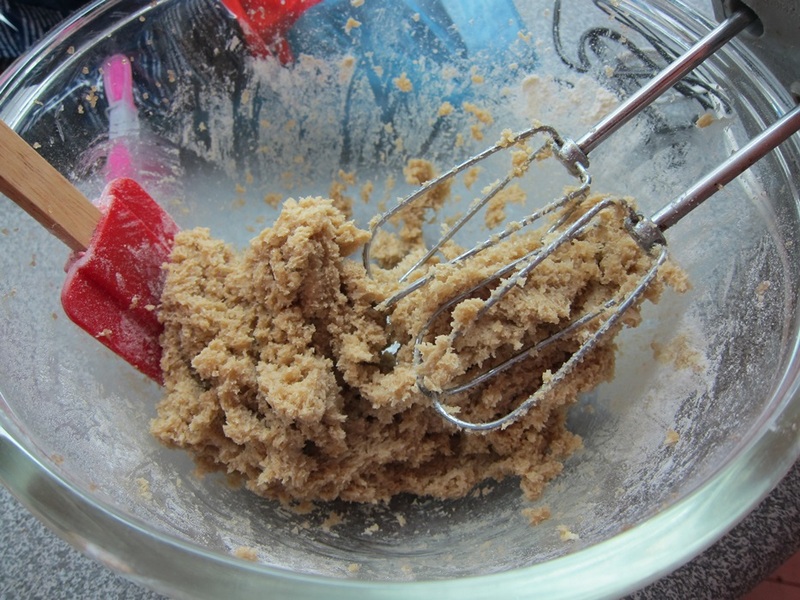 Since then, my constant baseline desire for cookie dough has been pretty maxed out, and I finally got around to making some eggless cookie dough for snacking yesterday. To begin – don’t bother preheating your oven or lining any baking sheets, for once that doesn’t matter. 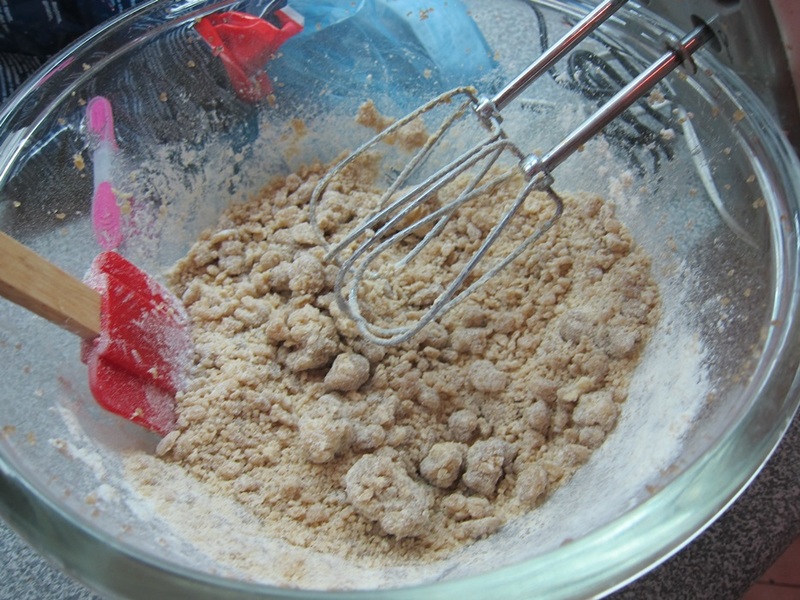 Cream together the butter and brown sugar until light and fluffy, then beat in the vanilla. Add the salt and flour and beat until just combined. Beat in the milk. It may seem for a minute like it’s not going to be enough liquid, but it should come together. 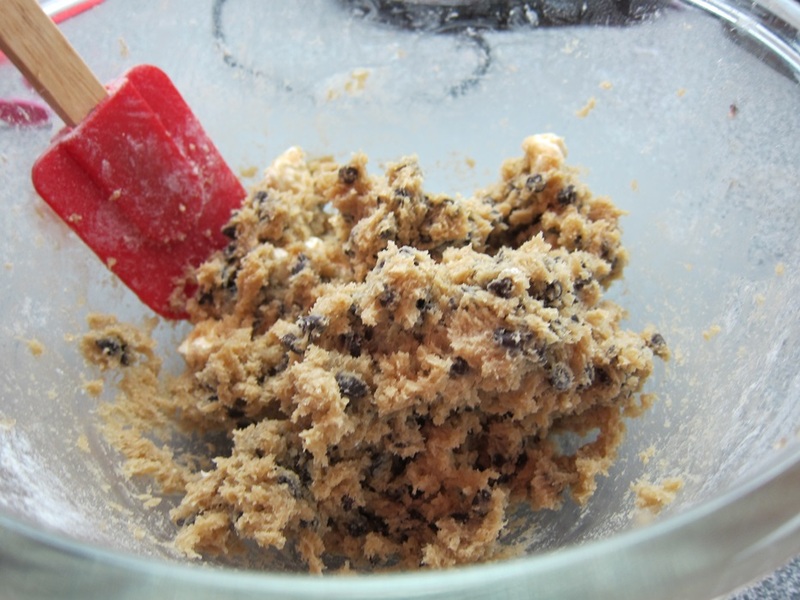 Add the chocolate chips, and anything else you want. I used up the remainder of a bag of marshmallows, torn into pieces. Hey presto, done already! Grab a spoon and get snacking! Store any leftovers in the fridge. Adapted from Center Cut Cook. 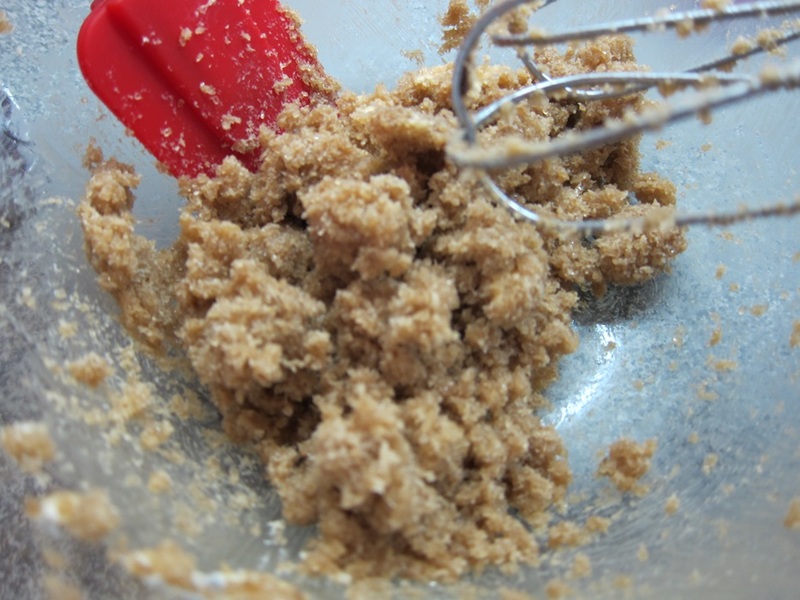 Cream together the butter and brown sugar until light and fluffy, then beat in the vanilla. Add the salt and flour and beat until just combined. Beat in the milk, then stir in the chocolate chips. Consume! 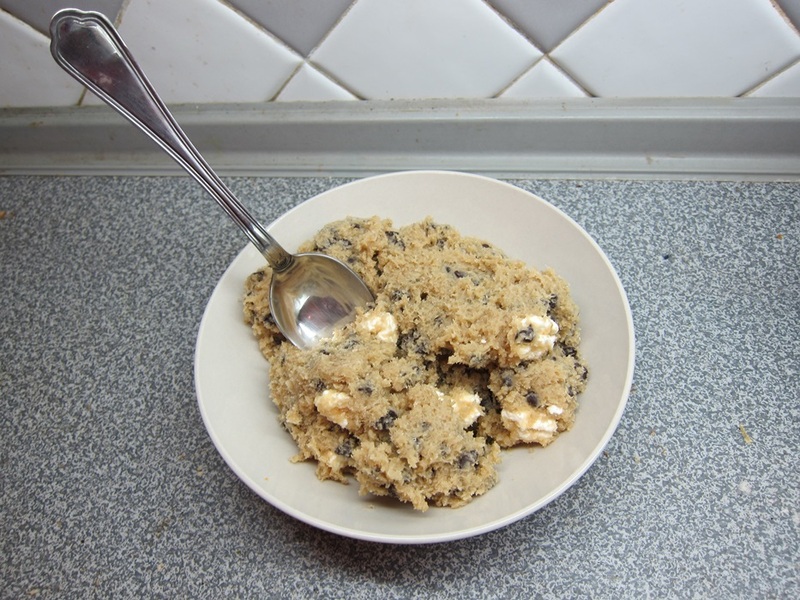 This entry was posted in Dessert and tagged chocolate chip cookie dough, chocolate chips, cookie dough. Bookmark the permalink. Can you actually bake these? Or just eat it raw? I don’t think this would be the ideal dough for actual cookies. There’s no baking powder or baking soda or anything to make the dough rise, so it would probably be super dense, I would guess.